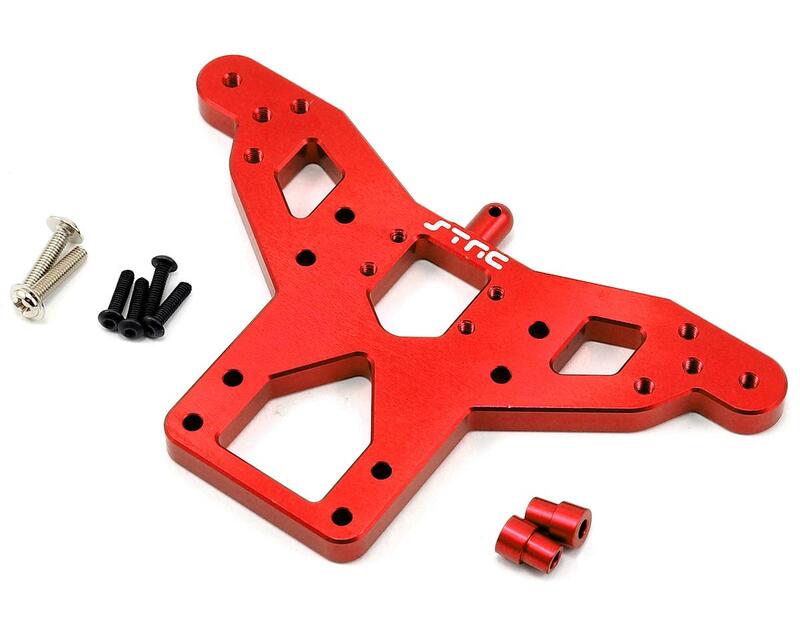 This is an optional ST Racing Concepts Red 6.5mm CNC Machined Aluminum HD Rear Shock Tower. 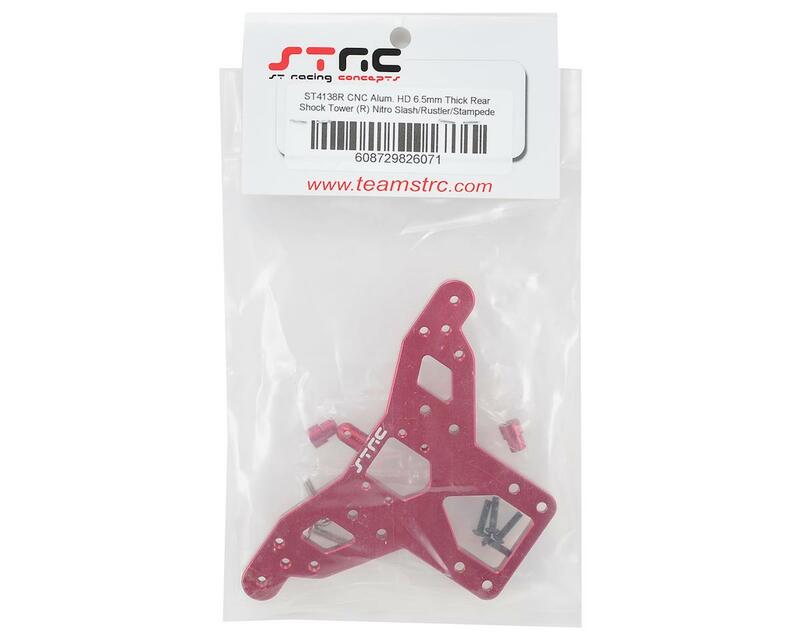 This extremely thick precision machined aluminum shock tower is stylishly anodized and provides another layer of rigidity and strength to the rear end of your Traxxas vehicle. Package also includes mounting hardware and two aluminum bushings anodized to match the tower.